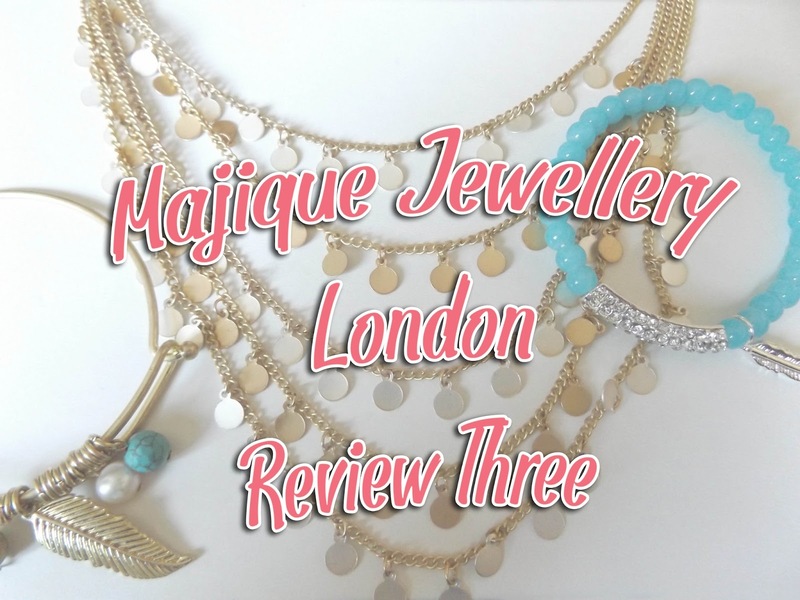 So if you've been reading my blog posts over the last couple of weeks you'll know that I've been reviewing pieces from Majique Jewellery London. 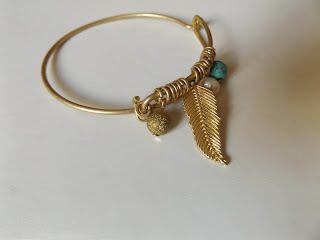 This weeks pieces that I've been wearing are this silver and gold coin necklace, gold and turquoise hook bracelet and this aqua and feather stretch bracelet. 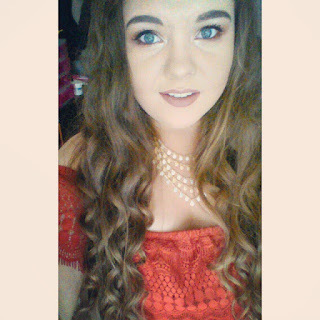 I had a christening to go to at the weekend so I wore this gold and silver coin necklace that I think is very summery and it went perfect with what I was wearing. 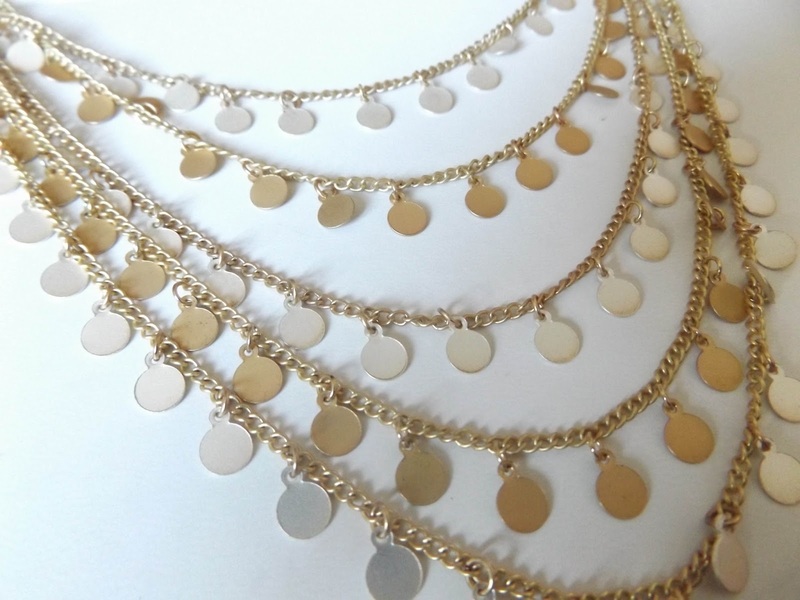 I love this coin necklace because you can wear it with other silver or gold accessories. This necklace is 45cm in length so it's not too short but not too long either, it's the perfect length. I wore this gold and turquoise hook bracelet with it because I always have to have at least one accessory on one of my wrists. The colour of this bracelet went lovely alongside the necklace and the turquoise beads gave a nice pop of colour too. I've never seen a bracelet that's a hook and opens like this one so I thought it was a nice piece that stood out and was different. 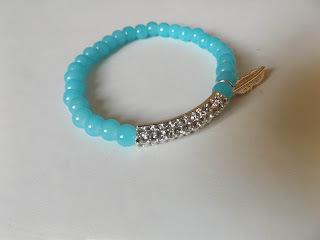 The third piece I've been wearing this week is this aqua feather bracelet. I absolutely love the colour of these stones and I love the fact that it has some crystal stones in it too to give it a bit of bling. This piece is nice and simple but is also very eye catching at the same time, this is one of my favourite pieces I received from Majique Jewellery London. Thanks for reading and I'll be back soon with more reviews from Majique Jewellery London. You can read my previous blog posts on Majique's Jewellery by clicking here.